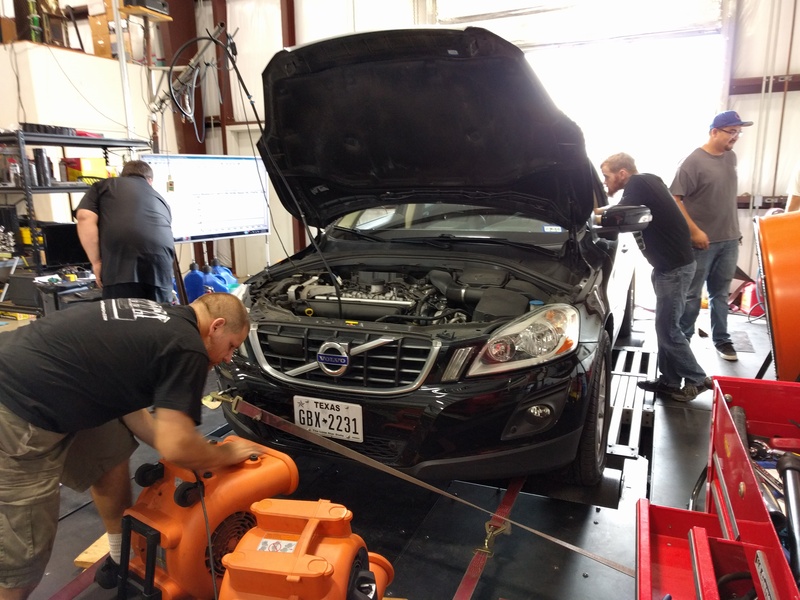 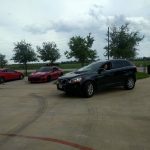 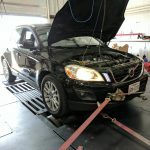 I took my 2010 Volvo XC60 T6 to the dyno at DD Performance Research in Sealy, TX to get a baseline dyno pull done before I started to modify the car. 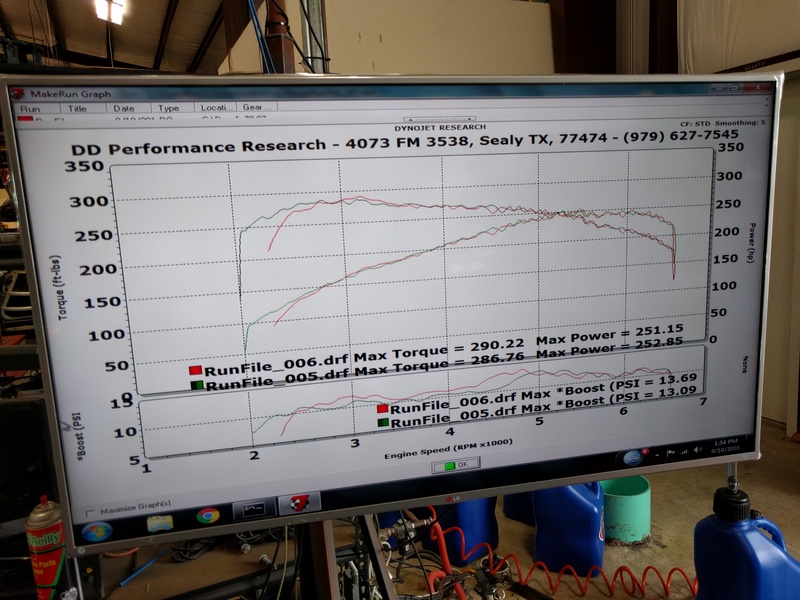 They have a Dynojet 424xLC2 Eddy current dyno available for advance load cell holding and tuning, but today was just a few simple pulls to get baseline power figures down. 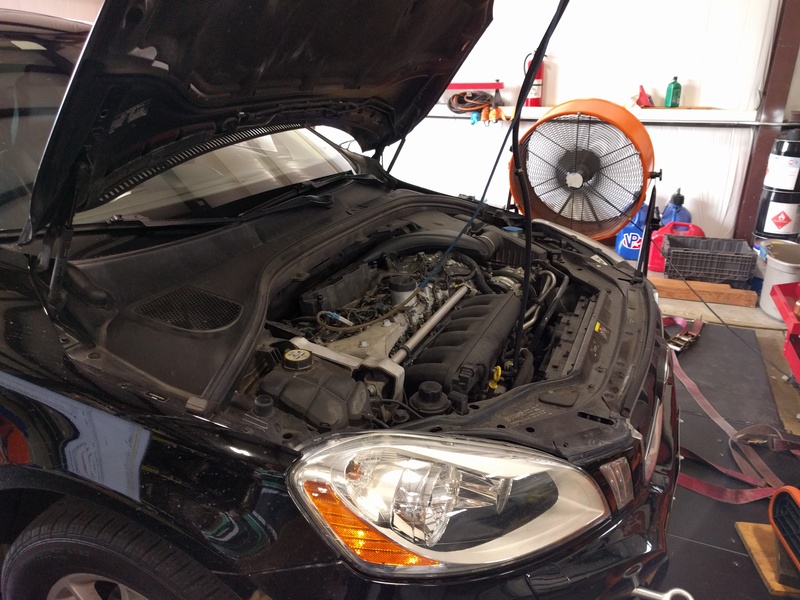 On paper, the engine in the 2010 model (the B6304T2) put out 285hp and 300lb-ft of torque. 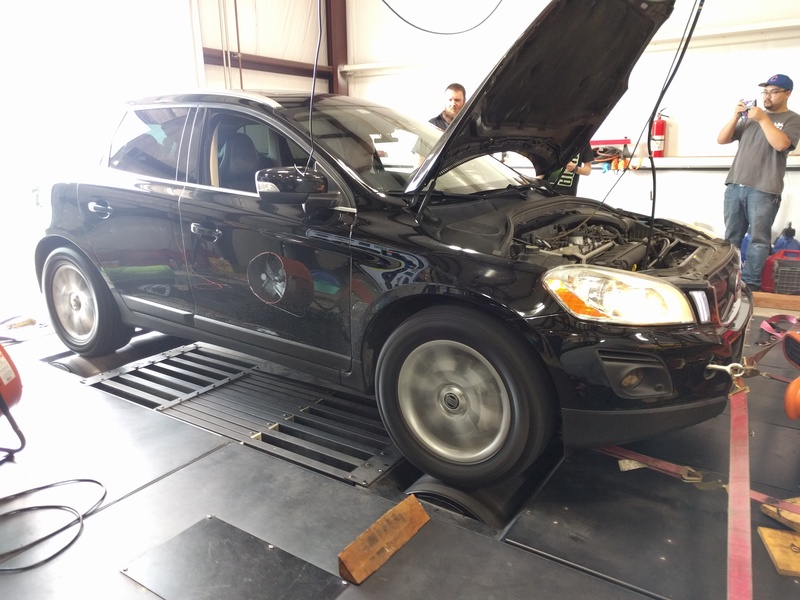 On the dyno, the car put down 252hp and 286lb-ft of torque, which is more than what a stock Subaru STi puts down on this dyno! 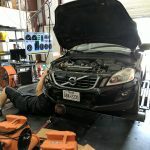 This comes out to about a 11.5% drivetrain loss. 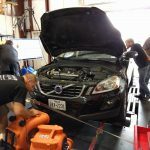 Looking forward to starting the modification flow for this car to see what the motor and drivetrain are capable of. 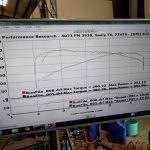 Here’s a few videos and pictures of the car on the dyno for it’s baseline dyno run when 100% stock. 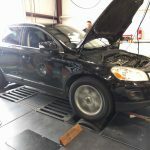 A few months later I finally had the tune sorted out with Hilton Tuning. 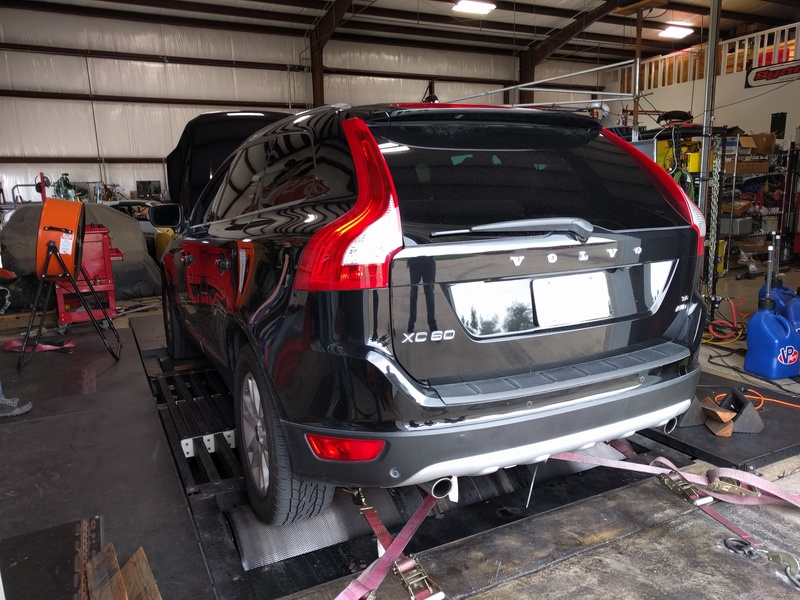 Being the first 2010 XC60 they had tuned, it was a bit of a challenge for them to get all the ECU maps setup correctly. 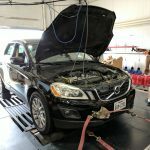 Once setup I had to get back on the rollers as quickly as possible to see the data and what how it affected the performance of the car, so I gave my friends over at DD Performance Research a call and a few days later I was back on the same dyno, with the same operator. 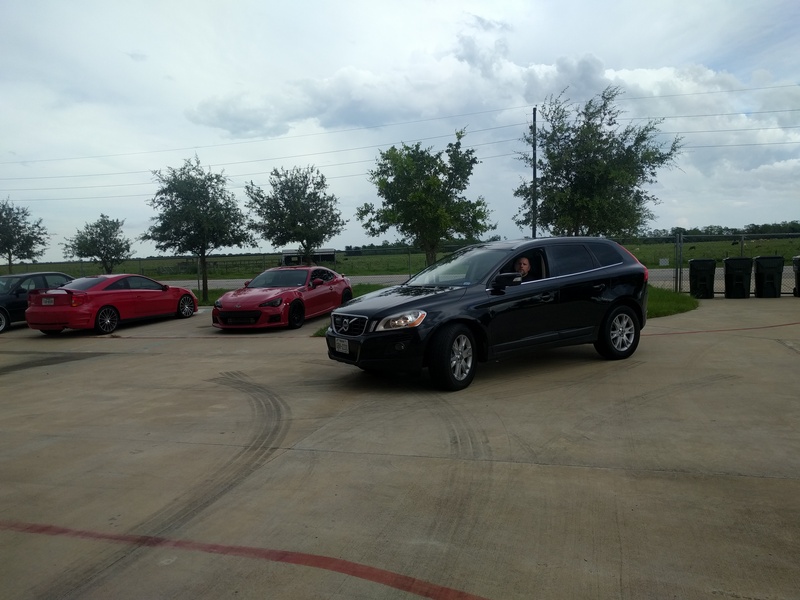 Remember, we’re trying to keep variables to a minimum here (apples to apples, anyone?). 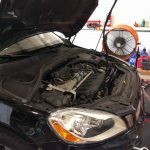 Here with the Hilton Stage 1 tune, K&N filter, and Jetex exhaust system, the car made 264hp and 331lb-ft of torque with huge increase in the low and mid-RPM ranges. 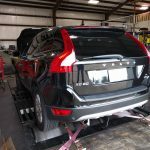 That comes out to about a 5% gain in peak horsepower and 14% improvement in peak torque over a stock 2010 Volvo XC60 T6. That doesn’t sound like much until you see the dyno chart overlaid on top of each other. 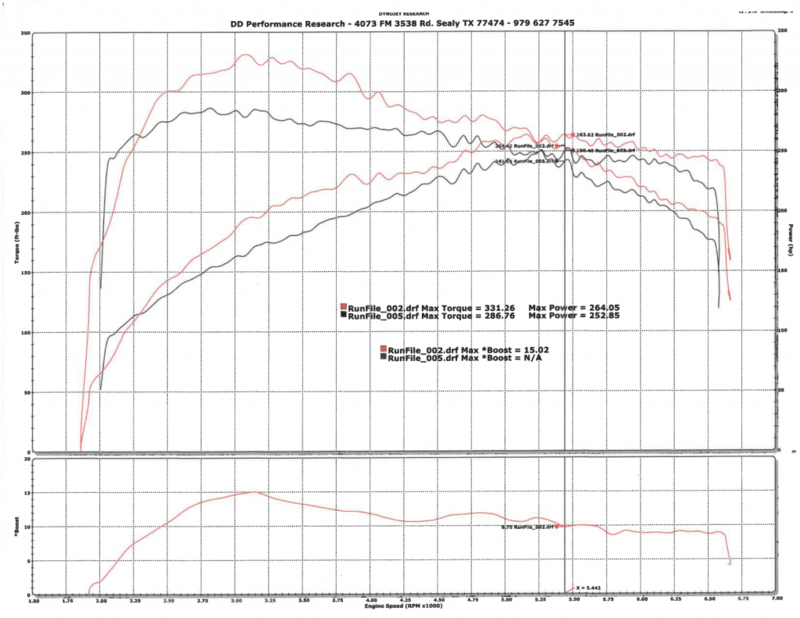 A huge lump of torque is now available right where it’s needed most for a daily driver – between 2500 and 4000 RPM but there were modest gains throughout the entire RPM range.